Cargotec's MacGREGOR business area providing marine cargo handling solutions has received a significant hatch cover order from Aker Yards, Germany. The hatch covers will be delivered for four container ships under construction at the yards. The ships will be delivered for Russian MMC Norilsk Nickel. The hatch covers will be delivered for the vessels during year 2008 and the value of the order is approximately EUR 13 million. The container ships will transport nickel under Arctic conditions from Northern Siberia without assistance from icebreakers. 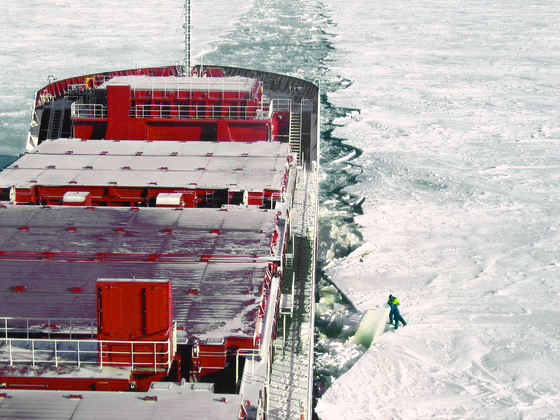 When designing the hatch covers, MacGREGOR needs to take into account the very severe conditions what comes to especially hydraulics as the hatch covers have to operate even in temperatures of -50 ºC.